As a true creative visionary, Walt Disney wasn’t just satisfied to make a beautiful world within the cels of his animated films; he had bigger dreams. 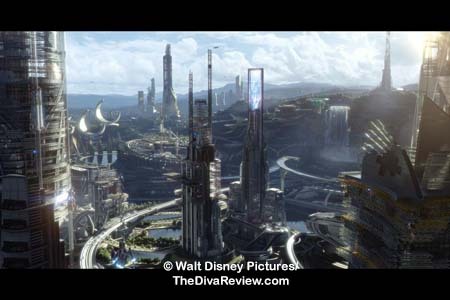 The Space Age-influenced section of Disney’s theme park called Tomorrowland gave the public a glimpse into a future he envisioned via exciting rides and attractions. 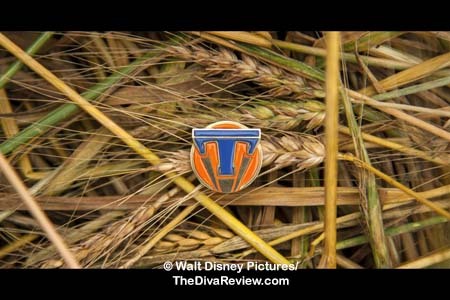 The latest entry in a series of live-action films based around the Disney amusements, Tomorrowland is also a look at one possible future and one hopeful girl’s attempt to make it a better one. 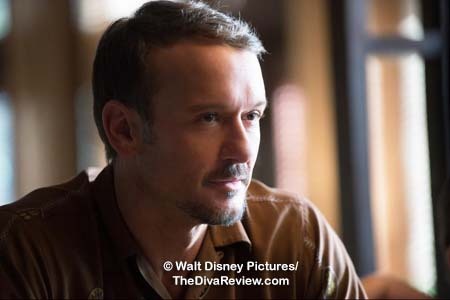 For Casey Newton, the future has never been too far away. 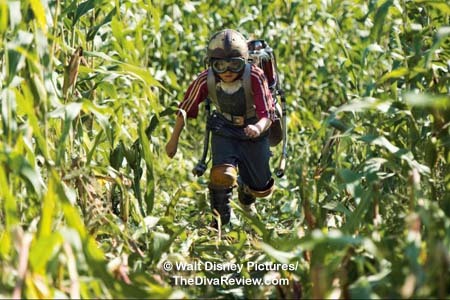 Living with her NASA engineer dad and little brother near Cape Canaveral, the possibilities presented by space exploration and examining the unknown have always been a reality to her. A born optimist, Casey cannot understand others’ hopeless attitudes about the increasingly bad state of climate change and its relation to the impending end of the world. She flummoxes her teachers by simply asking, “How do we change it?” To Casey, anything is possible; including derailing a plan to eliminate one of NASA’s launching stations due to the budget cuts that have been stripping the programme dry. 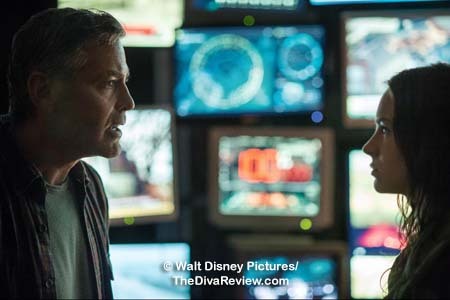 Casey is a technical savant, a science whiz who corrects her dad’s mistakes on a motherboard. Unfortunately, she hasn’t yet learned to become invisible and so after one of her station-saving sabotage missions is discovered, she’s thrown in the pokey with looming Homeland Security charges pending. 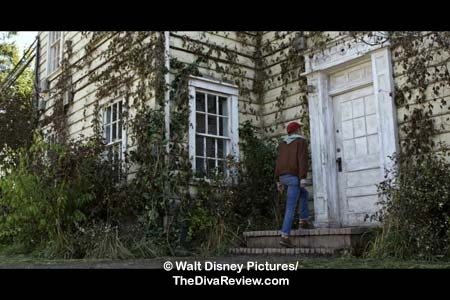 Upon her release from the hoosegow, Casey finds a small pin mixed into her belongings. Contact with said pin makes funny things occur. 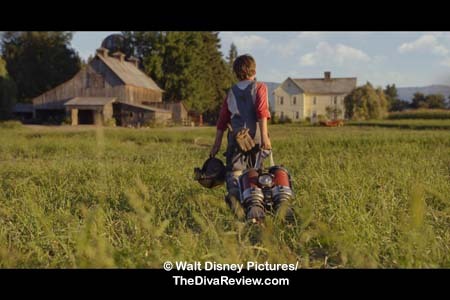 Casey is suddenly surrounded by a world she does not recognise; where fields of wheat give way to a city of gleaming spires. 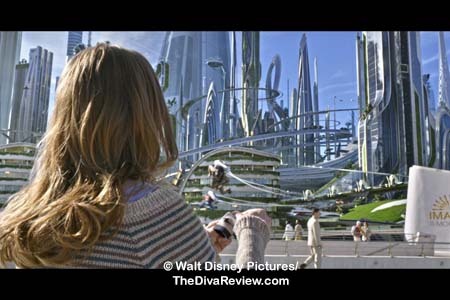 She is the only one to see the vision and her interaction with this dreamlike place ignites and inspires her to find out more. 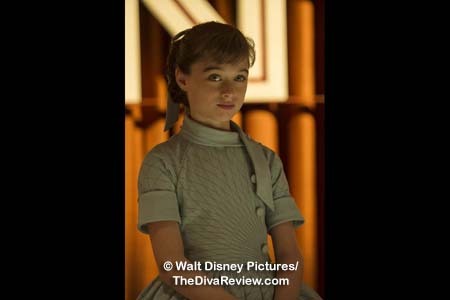 A trail lead by a mysterious little girl with serious kung fu skills and a super genius IQ, lands Casey on the doorstep of a middle-aged man who has also seen the vision revealed by the pin. Fifty-one years ago, while still in elementary school, Frank Walker lived for the promise of the future he was especially chosen to see. As a gifted inventor, Frank was kept in this hallowed secret place to lend his talents to lay the foundation for the current world to have a better tomorrow. Somewhere along the way, his own inventions showed him that no matter what anyone did, the planet would come to a terrible end. Bitter, disillusioned and resigned to the inevitable, Frank left the Utopia, to live as a hermit back in his own time, with a countdown clock ticking down the seconds until Armageddon. However, none of Frank’s inventions can block him from Casey’s relentless optimism and stubbornness. Her refusal to give up hope that the world might be saved changes the odds and slowly brings Frank back to the bright-eyed idealist he was the day he was given his own magic pin. 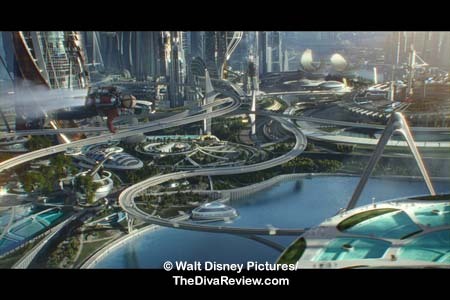 How could such a fun and exciting premise about a future world, from Walt Disney’s own studio, and Brad Bird, the director who brought us the excellent Iron Giant and The Incredibles, be so very flat? 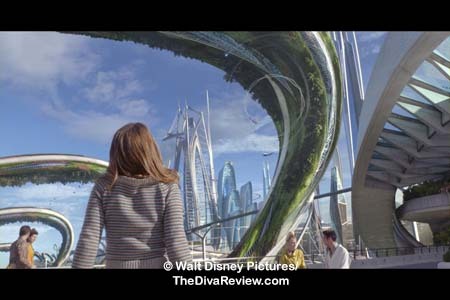 For a movie called Tomorrowland, based around a fantastic and hopeful future like the one Disney dreamed about and designed his park to resemble, the film is astoundingly uninspired. The script is disappointingly basic, only occasionally bubbling up with any actual wit. Often our heroine Casey’s constant chatter, which should have charming, begins to annoy. The lines are also unexpectedly hokey and devoid of cleverness. An interesting twist involving famed forward-thinkers, Thomas Edison, Jules Verne, Guglielmo Marconi and Gustave Eiffel, is leadened into incomprehensible mush. 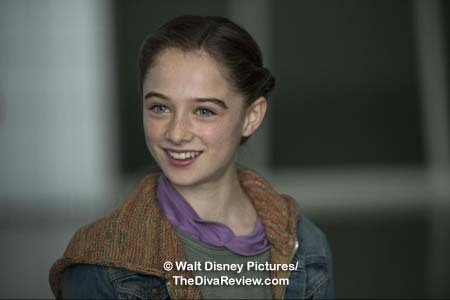 The acting ranges from borderline manic, with Britt Robertson trying to keep up the energy as our heroine, Casey, to amateurish, with Raffey Cassidy as Athena, the odd girl from the future subject to accent slippage and overemphatic line readings, to somnolent. 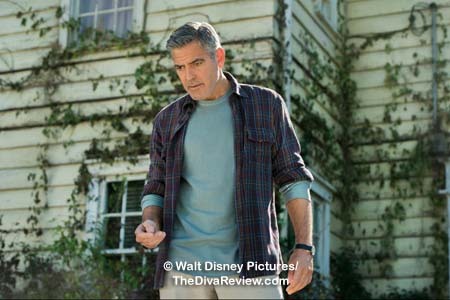 As the cynical Frank, George Clooney phoning in the same rote performance he’s given in an increasing number of his later films, left me wondering if there wasn’t actually more than one robot in the film? That said, his bearlike surliness played well off Robertson’s high-strung yappiness. More scenes of the pair butting heads would have been appreciated. 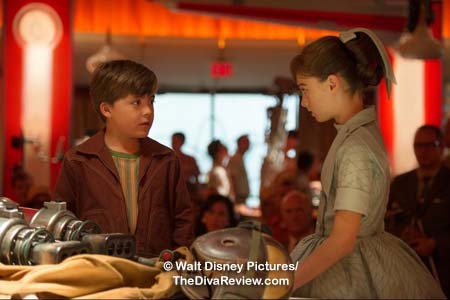 Conversely, Thomas Robinson, as the younger version of Frank; the kid whose time-tripping adventures began in Flushing Meadows, Queens, at the 1964 World’s Fair, has all the sass, the twinkle in the eye and charisma that Clooney refuses to generate here. Ever dependable, the excellent, arch Hugh Laurie pretty much plays the excellent, arch Hugh Laurie as the pessimistic leader of the future world. There’s never one eye-popping moment and the special effects look terribly dated. 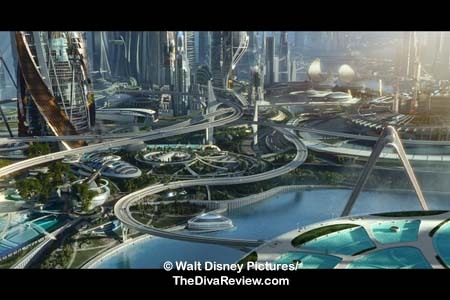 Perhaps that was an intention of Bird’s; to keep the special effects reminiscent of the aesthetic of the mid-1950’s era Tomorrowland park at Disneyland, and the 1964 World’s Fair, but it’s not clear enough to let the audience in on the notion. If that wasn’t the case, then in this day of breathtaking pixel-born spectacles, the visuals are genuinely lacklustre. The battle set pieces; pitting androids against other androids and humans, are just noisy and pretty cheesy-looking. The only pleasant effect I can recall are the giant mecha robot guards, whose rounded cuteness seems more like something out of Big Hero 6. They are adorable and I’d love a wind-up version for my desk, but cute as they are, they don’t quite fit in the world. 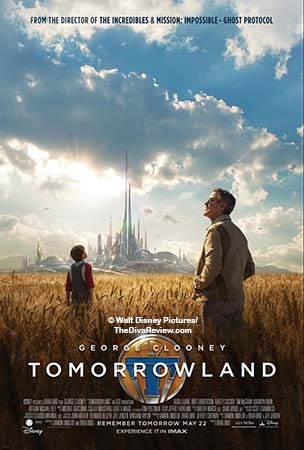 Given the lack of dimension and surprisingly low-budget look of the film, I wondered more than a few times while watching if Tomorrowland wouldn’t have worked better as animation? 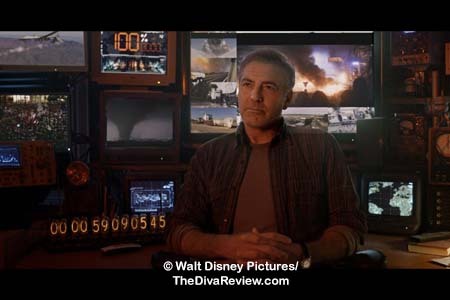 Had it not cast Clooney as its leading man, there would have been no reason not to release Tomorrowland straight to one of Disney’s TV channels or home video. 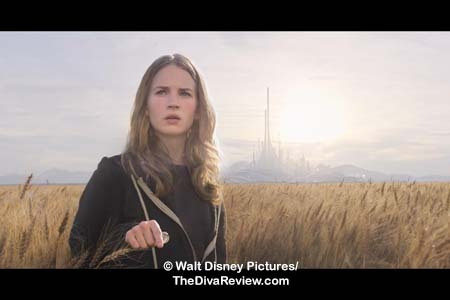 While very sweet, with its admirable homily of optimism, family loyalty and my eternal support for an upright female hero, there’s nothing standout or even particularly memorable about Tomorrowland. Most of my time was spent looking for various onscreen in-jokes from Bird’s own canon (Iron Giant statues, Mr. Incredible figures), or other Disney/Pixar references (I could swear I caught a glimpse of Toy Story’s Rex in brother Nate’s room and the memorabilia shop is very unsubtly drowning in Star Wars flotsam). 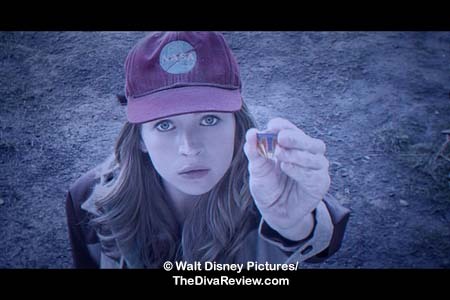 My other in-movie activity was to observe how many different ways Britt Robertson’s hair had been restyled (under her omnipresent NASA cap) in the same scene. It literally changes from one camera shot to the next. That was the only truly magical thing to see here. 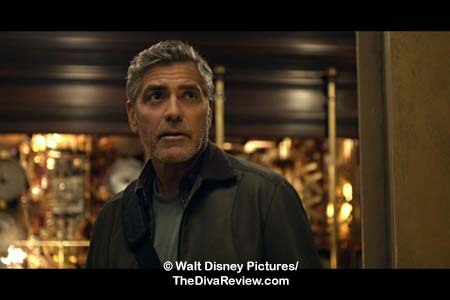 Despite its good intentions as a family-friendly film about the power of hope, turning away from cynicism and saving the future right now, Tomorrowland cannot match its well-meaning message with its primary mission to be an entertaining movie.